As a Manchester web hosting company, we aim to provide you with the best web hosting that anyone can offer in the UK. Our easy to use shared SSD web hosting is instantly activated once your order has been confirmed. There is no hidden costs or charges, our web hosting is completely ad free and we provide UK support from Manchester. Affordable web hosting plan that’s suitable for beginners starting a new website. Best plan for enthusiasts looking to host your small or large projects and/or apps. The perfect hosting plan if you need the power and resources for a growing business website. Your hosting account includes wild-card SSL certificates to protect your domains at no additional cost. An SSL enabled website securely transmits and protects important information bewteen your website and end-user without any prying eyes looking in. You can enable SSL certificates for as many domains that you host under your plan. Our hosting plans include 10GB per email box to use with your Manchester web hosting plans, as standard. Our web hosting platforms are located in UK data centres within the areas of Manchester, Leeds & London. You can choose PHP7 for your website or easily switch to an earlier version of PHP via your control panel. All our web hosting plans use 100% SSD drives to power your website(s). SSD powered websites perform faster and are more resilient in comparison to traditional HDD drives which are often prone to failure. We also ensure that there is no single point of failure by utilising cloud-based load balancers to ensure your website is always up and running and super fast. This combination ensures that your websites have the best performance possible. 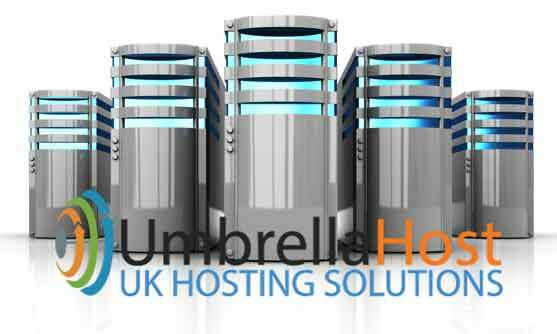 All the Umbrella Host web hosting plans include all the features you need to get your site up and running fast. We don’t limit our features. The only difference in our hosting plans is the amount of domains, disk space, bandwidth and MySQL databases that you require. Everything else is included as standard. Do I need a Domain? What Support do you provide? How do I setup an SSL? Will your prices change? Can I upgrade my plan? No, you can set up your web hosting before changing the nameservers for your domain OR even before buying a domain name. We provide a staging area for you to test and configure your website beforehand. When you are ready you can either change your nameservers to point to ours or purchase a domain to use. Everything will work automatically and no further configuration would be required on your part. We provide support via our online support center. This allows us to quickly and effectively address your issues. You can also request support via LiveHelp but this may take slightly longer. Our telephone lines are also open for support during the hours of: 9:30 – 5pm MON-FRI. The quickest way to get help with your issues will be via our support center. The SSL certificates can be automatically installed for any domains you host with us OR ones that use our nameservers. Once you have signed up simply visit our hosting control panel and activate an SSL for the domain of your choice. It will take aprox 30 mins for the SSL to be fully activated at which point your site will be able to use HTTPS rather than HTTP.